Introducing the Jostaberry, a fascinating hybrid berry bush originally bred by plant researchers in Germany. 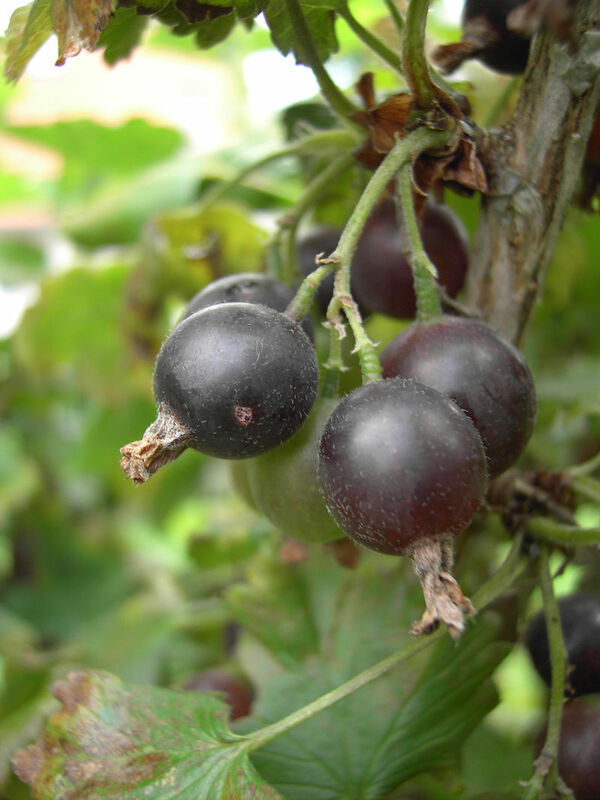 It is a cross between three species; the black current (R. nigrum), the North American black gooseberry (R. divaricatum) and the European gooseberry (R. uva-crispa). The result is a vigorous, disease-resistant, thornless shrub that produces tasty, deep red-black, round berries. The sweet berries taste a bit like black currents and are ready for harvesting in July. To order this plant please contact us balkanecologyproject@gmail.com. In flower from Apr to May, and the seeds ripen from Aug to September. Can grow in semi-shade (light woodland) or full sun. Fruit: The berries can be red or black and are usually ready for picking in July. For the best flavour, they are best left to ripen until they are as dark as that variety will get before picking. Although self fertile, best yields are obtained when a black bush and a red bush are present in the same garden for cross-pollination.